Senator Lee Bright from Spartanburg, South Carolina introduced a bill on the senate floor saying PayPal supports pedophiles praying on children in bathrooms. 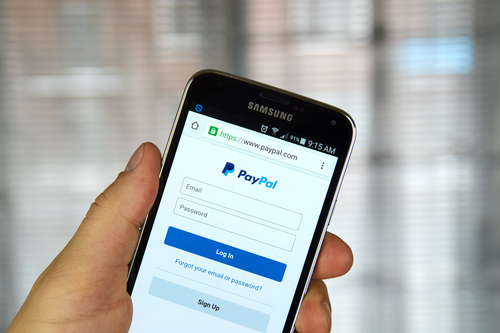 Calling the multi-national company PayPal a “PedoPal,” the accusation astonished the San Jose, California-based company as well as other technologists who organized against the so-called Bathroom Bills in recent months. More than 150 companies have already signed protests in North Carolina, and PayPal pulled more than 400 jobs from Charlotte, North Carolina in response to the prejudicial actions of that state. Dan Schulman, President and CEO, PayPal, took decisive action after North Carolina passed their resolution to segregate bathrooms in the state: “The new law perpetuates discrimination and it violates the values and principles that are at the core of PayPal’s mission and culture. As a result, PayPal will not move forward with our planned expansion into Charlotte,” said Shulman. Now, South Carolina is setting themselves up for failure in business, as leaders propose discriminatory resolutions that are nothing less than scaremongering and will possibly end in loss of business revenue for South Carolina’s growing cities. Website managers and technologists have said these states who support segregation are more likely to discriminate against the LGBT community than to protect children from sexual predators. The accusation that PayPal is a “PedoPal” or in anyway encourages pedophilia is utter nonsense. In North Carolina, the bill was being considered while Dow Chemical, Biogen, and Raleigh-based software company Red Hat all opposed it publicly and have threatened consequences if the bill passes. Lately, the bill is looking more and more likely to fail as the historically “hands-off” Republican state of South Carolina considers the dangers in getting involved with an anti-LGBT agenda that doesn’t seem a problem anyway.